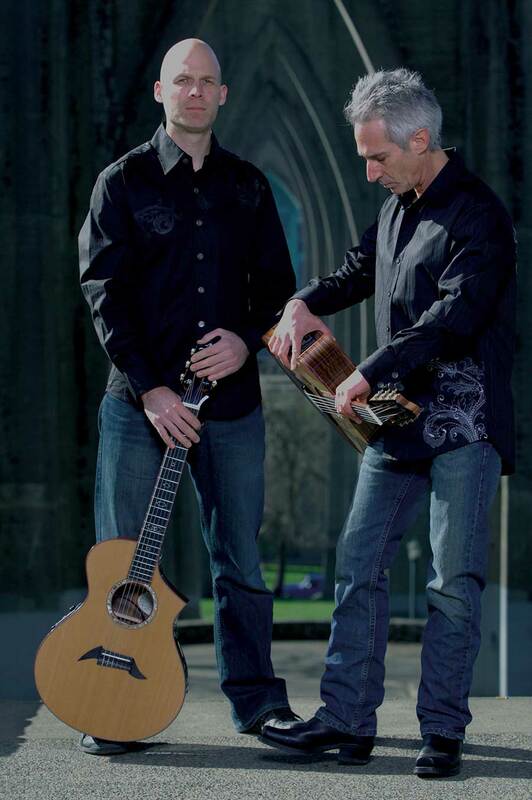 Key of Dreams… dynamic, acoustic fusion jazz…founded by Eric Schultheis and Abe Wirth in 2003 in Portland. Key of Dreams’ thought-provoking melodies seem to dance over a lush, harmonic groove resulting from the seamless integration of Eric and Abe’s guitars; their music captivates the senses of even the most discriminating listener. The sound and style are unique – drawing from many musical influences including traditional and new jazz, rock, classical, Flamenco, world, and funk. “We’ve been told we sound like Pat Metheny, Joe Satriani, Earl Klugh, and Ottmar Liebert, to name a few. That’s a broad spectrum of artists to be compared to, which for us is good. We’re not trying to sound like anyone else, or any style of music for that matter. We just play and let it happen, which is very cool because there are really no boundaries.